It's that time of year again when the leaves begin to change and the air begins to cool. And here you are, without any Thanksgiving invitations or greeting cards. Don't fret! 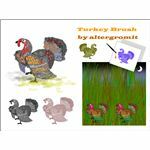 This article will point you in the direction of the perfect Photoshop Thanksgiving brush pack. 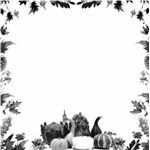 Looking to create your own nifty Thanksgiving invitations? Maybe you've got an autumn wedding, birthday or anniversary to celebrate. 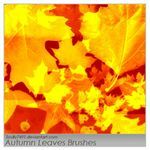 If you're trying to find a great Thanksgiving brush pack, or maybe you're just looking for autumn brushes in general, this guide will point you in the right direction. Not sure how to add these tools to Photoshop? 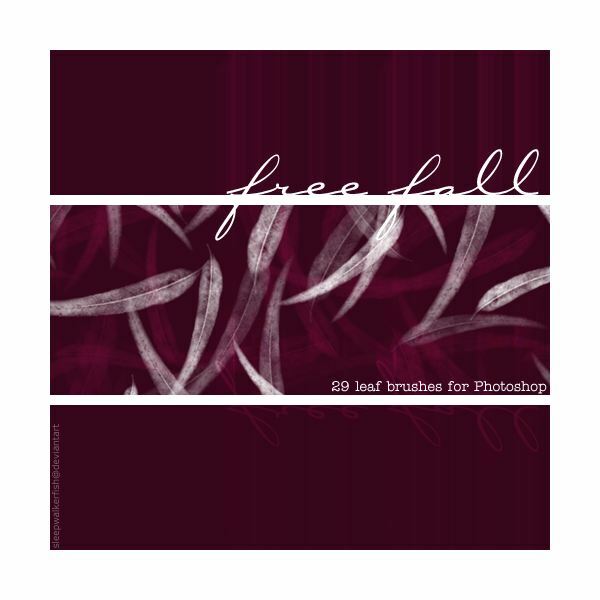 Check out How to Find and Install Brushes in Photoshop. 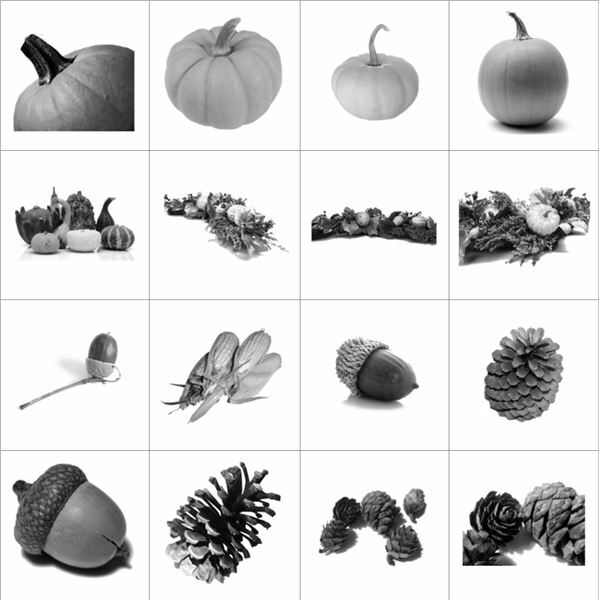 Long half gourds, pumpkins, acorns and leaves symbolize Thanksgiving and autumn. That's why I had to include this awesome brush pack Thanksgiving by SilentMISTIQUE. 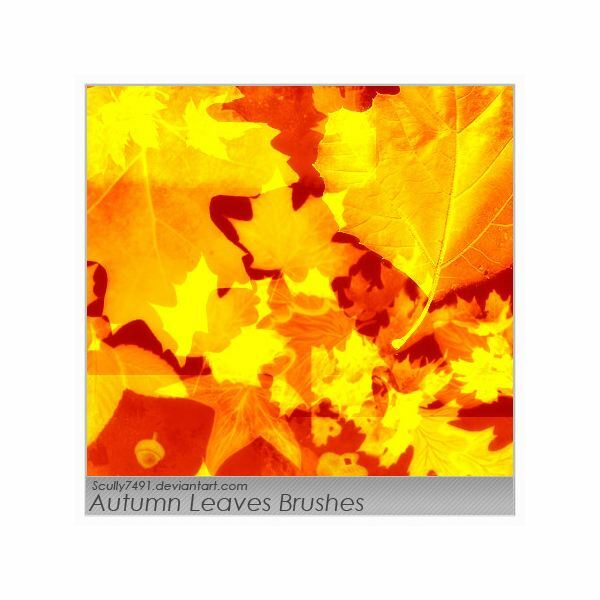 These brushes are made from high quality images and are sure to look great with all your fall themed projects. Looking for a set of frame and border brushes to create some cards? 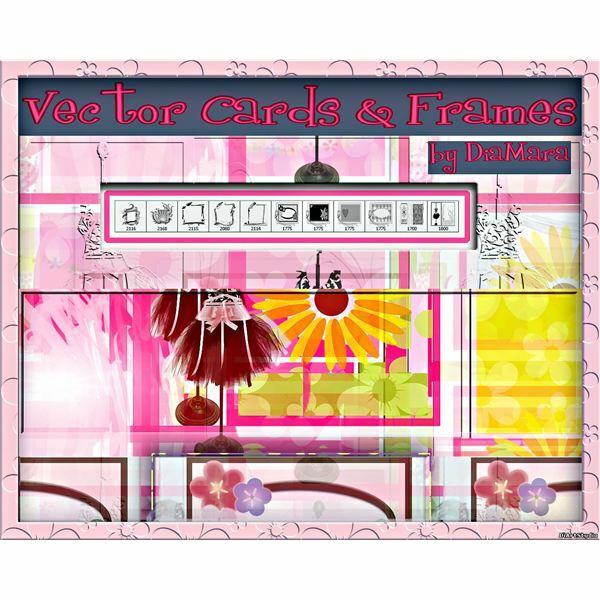 Diartstudo has created a set of eleven Vector Card frames that can be used for just about any kind of card you'd like. Simply pick a fall color set for a more autumn feel. 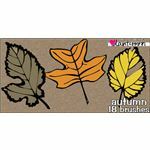 Scully7491 has created a set of Autumn Leaves and even included a few acorn brushes for you to use. 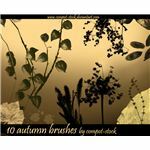 These are beautifully textured and look very nice in shades of red, gold, and brown. Special note: These brushes cannot be used for monetary gain - personal use only. I think one of the trademarks of autumn isn't just the leaves falling from the trees, but toward the end of autumn when the leaves fall to the ground and the branches are stark bare. 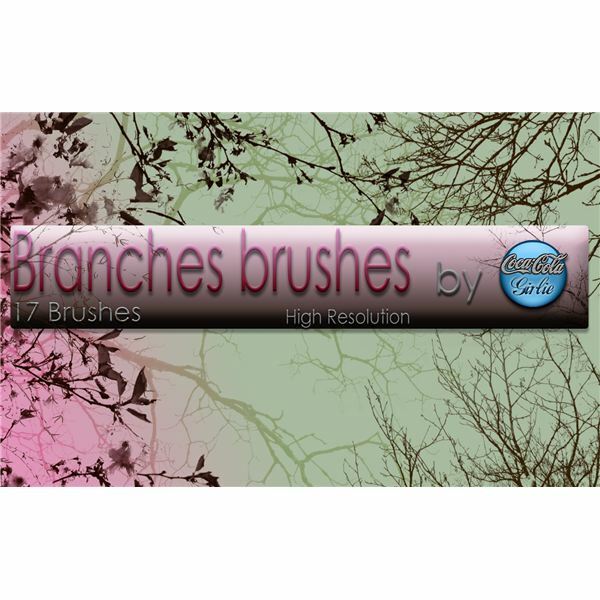 Branches Brushes by cocacolagirlie is a set of 17 high resolution branches brushes, free (or mostly free) of leaves. Perfect for the late autumn atmosphere. Looking for even more borders for cards and projects? 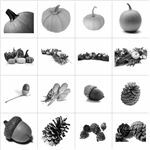 SilentMYSTIQUE has created a set of fifteen extremely high resolution brushes in a pack called Thanksgiving III. 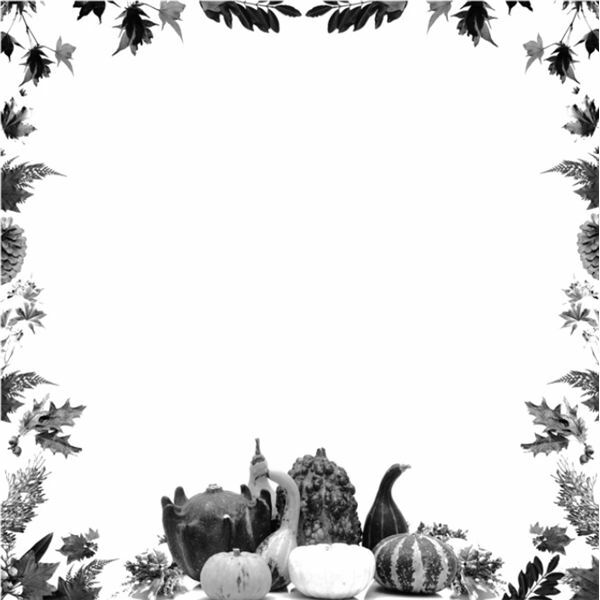 These are easily the best set of Thanksgiving borders I've seen in a long time. Can't get enough of Fall foliage? 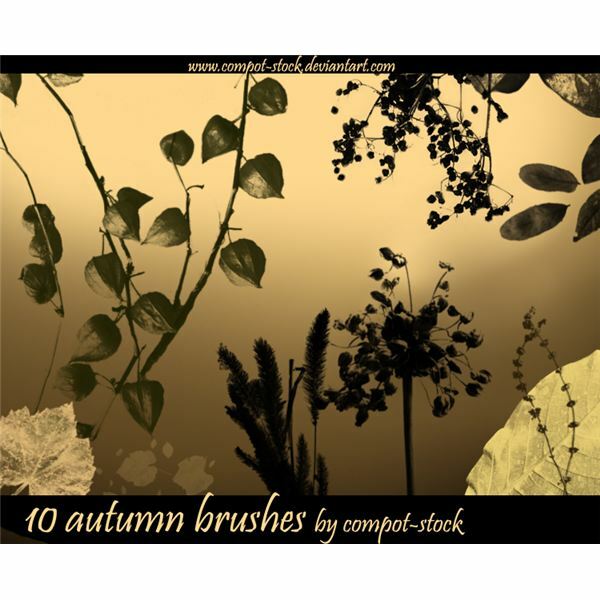 Neither can compost-stock, who created Autumn Brushes, a set of ten high resolution autumn plant and leaf brushes. I love the feeling that this set gives off. Everyone loves megapacks of great brushes! 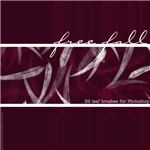 Free Fall is a set of 29 different leaf brushes created from sleepwalkerfish's own photos. These are smaller brushes, better suited to graphics design and small border work than anything large and detailed. Most brushes in this pack average 400 to 500 pixels. The artist suggests using them as a scatter brush. 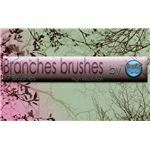 Looking for a set of less realistic brushes? 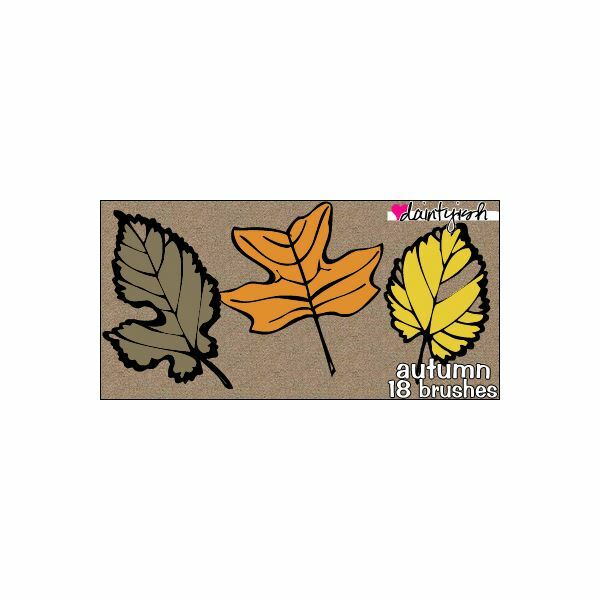 daintyish has created a set of eighteen Autumn brushes that have a cute vector feel to them. This is great if you're going for something a little more "graphics design" or even "cartoony." Very detailed and nice! As I'd said earlier, most of us associate Thanksgiving with food, right? 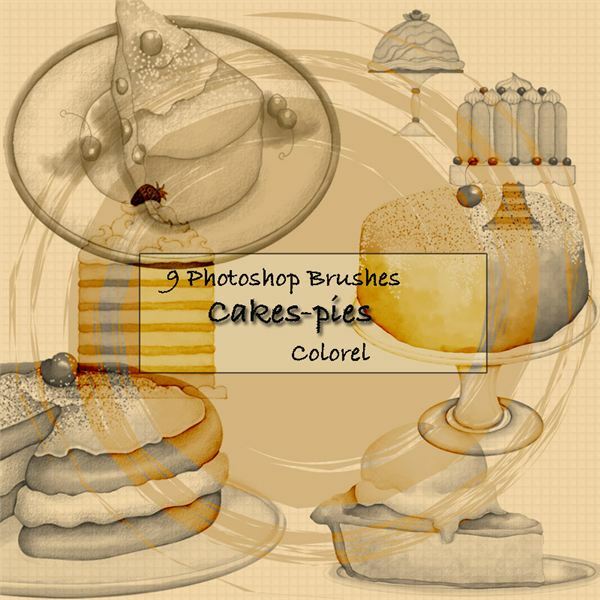 So what would this brush feature be without the highly sought after cakes and pies of Thanksgiving. While the artist didn't create this specifically as a Thanksgiving brush, it does fit the bill perfectly. 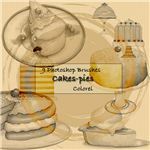 Cakes-Pies by libidules is a great brush that features nine cakes and pies for all of you that have a sweet tooth. What, you thought I forgot didn't you! I'm sure all of you were sitting there, asking when and where the classic Thanksgiving mascot was going to show up. 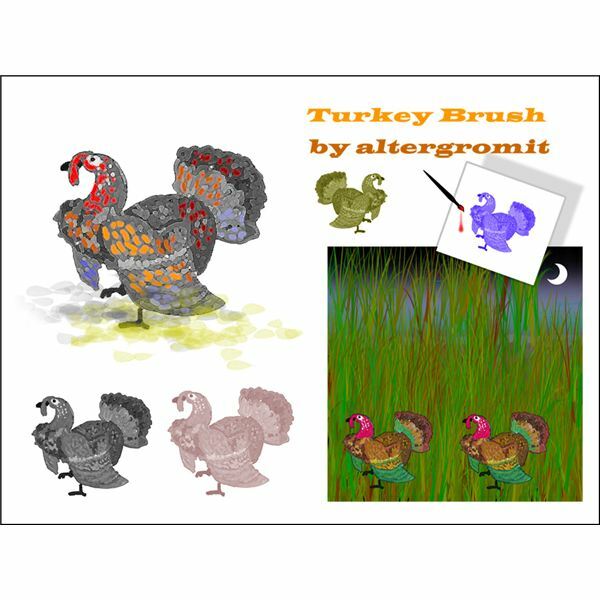 While he took a while to find, I did manage to find Turkey Brush by altergromit, which features a very dashing finger-paint-esque turkey! I love this brush, and I think you will too. All images are property of their original creators and are used for demonstrative purposes only.